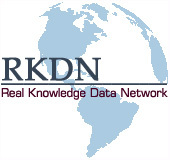 The following is a release by the United States Geological Survey, National Earthquake Information Center: A minor earthquake occurred about 10 miles west of Kannapolis or about 20 miles north of Charlotte, North Carolina at 8:31 PM MDT today, Jun 4, 1998 (10:31 PM EDT in North Carolina). A PRELIMINARY MAGNITUDE OF 3.2 WAS COMPUTED FOR THIS EARTHQUAKE. The magnitude and location may change slightly as additional data are received from other seismograph stations. 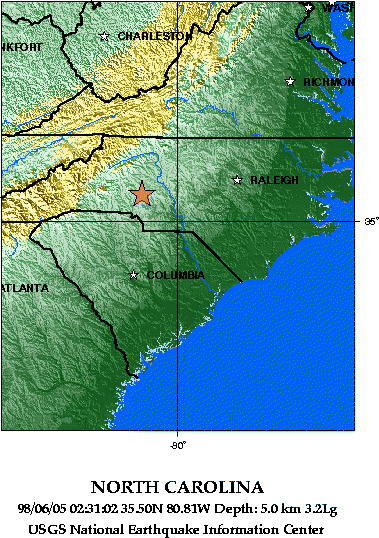 The earthquake was widely felt in the Charlotte-Mooresville area. There have been no reports of damage. This map shows the predicted (theoretical) travel times, in minutes, of the compressional (P) wave from the earthquake location to points around the globe. The travel times are computed using the spherically-symmetric IASP91 reference earth velocity model.